In the span of just a few weeks, they've gone from little-known players in the vast pharmaceutical industry to the targets of national ridicule over a relentless series of EpiPen price hikes. Since 2009, Mylan has jacked up the price of the lifesaving allergy treatment an incredible 15 times. The list price on a two-pack of EpiPens is $609, up 400% from seven years ago. The national outrage this month, sparked by a social media campaign by parents, has forced Mylan (MYL) to respond by taking the unusual step of launching a generic version of EpiPen at a 50% discount to its current price, as well as other moves to make the treatment more affordable. Despite those efforts, Congress is now investigating Mylan. The powerful House Oversight Committee sent a letter to Bresch on Monday requesting a briefing and a trove of documents from the company about EpiPen. Mylan has sought to pin the blame for the sticker shock on a shadowy health care supply chain. Bresch called the system "broken" and said it was in a "crisis," similar to the financial crisis of 2008 that blew up the economy. But Bresch's arguments aren't going over well with some. The company doesn't understand the "very emotional, very stressful situation" parents are going through this back-to-school season, according to Wells Fargo analyst David Maris. "No one's expecting Mylan to give away their products. But empathy is the most human emotion. And when you raise price year after year -- by a lot -- for a drug that's lifesaving, it shows a complete lack of empathy," he said. Maris also points out that no one forced Mylan to dramatically raise EpiPen prices. "It's outrageous. People shouldn't be fooled by the idea that the system made them do it. Mylan is to blame for the high prices of EpiPen," Maris said. In fact, the most recent round of price hikes look more opportunistic, rather than the result of problems in the health care system. In November 2015, Mylan raised EpiPen prices by 15% (for the 14th time since 2009). The hike came just a month after the drug's main rival Auvi-Q was pulled off the market. Six months later, the company jacked up prices again, by another 15%. "With competitors out of the market, Mylan was in a position to price up EpiPen, which they did," Bernstein analysts wrote in a recent report. Bresch, who is the daughter of U.S. Senator Joe Manchin, has sought to push back against these criticisms. "You can do good and do well, and I think we strike that balance around the globe," Bresch told The New York Times. However, she added: "I am running a business. I am a for-profit business. I am not hiding from that." Business has indeed been very good -- for Mylan and Bresch alike -- thanks in part to the increasingly-lucrative EpiPen. Ever since Mylan started raising EpiPen prices in 2009, the profit margin of the Mylan division that sells the drug has quadrupled, according to Wells Fargo's analysis of corporate filings. Rising profits are a big reason why Bresch earned nearly $19 million in total compensation last year. And over the past three years, she made $54 million. Mylan's defenders note that the $609 list price of EpiPen may get all of the attention, but most consumers don't actually pay that. Even before Mylan's recent cost-cutting moves, the company has indicated that 80% of its prescriptions translate to $0 out-of-pocket expenses. 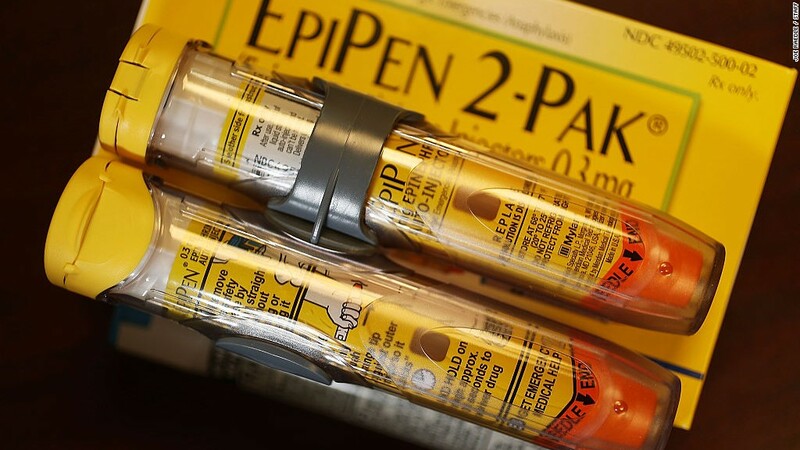 Just 4% of EpiPen prescriptions actually led to $600 or more in out-of-pocket expenses, according to an analysis by Evercore analyst Umer Raffat. However, that still translates to a significant 150,000 prescriptions at that high price, Raffat said.